Everyone who has the faintest inkling of the Christian faith is familiar with the Creation story of Adam and Eve. The story is a stern reminder of the importance of obedience and complete surrender to God´s will. Make no mistake that, in the biblical context, disobedience is sinful before God´s eyes. It might come across as harsh but the various references in Bible makes no bones about this expectation of obedience. The whole saga started with Lucifer, one of God´s favourite angels who turned against Him and rebelled in all disobedience. As the legend goes, the disobedience proved costly as Lucifer went down in History as ´The Fallen Angel´ or popularly known as ´Satan´. Then, God created Adam and Eve and gave them everything in the world for their take and pleasure. Except for one thing! He forbidded them from accessing ´The Tree of Life´. Guess what? They ate the fruit from the forbidden tree upon the insistence of Satan (who else?) and invited sin and death into human life from that day on. In another case, God asked Abraham to sacrifice his only son Issac. Guess what? Abraham obeyed God and was about to sacrifice Issac when God stopped him right on his tracks. It was a tricky test of character, you see! Issac´s life was saved and Abraham was blessed with even more prosperity, happiness and a very long life. And who can forget the appearance of Angel Gabriel to Virgin Mary with God´s command. Guess what again? Mother Mary obeyed God´s will. For today´s highly individualistic generation, obedience is a spiky thorn in the flesh. Disobedience or rebellion is seen as acts of truth, valour and authenticity. Obedience to any individual is akin to giving the keys of your life away. Let´s admit it! Obedience calls for a LOT of trust..to the point of even blind faith. And in today´s times, Trust comes with a whole lot of baggage and liability. In short, it spells the perfect recipe for disaster. Disobedience makes a much safer bet in comparison. But, is that so? On the contrary, the ancient books still hold good in the modern times. By and large, the general rule of thumb is – ´Obedience is wisdom. Disobedience is folly.´ Of course, there are exceptions to the rule. And, it is perfectly okay to disagree politely while making a valid point or taking a firm stance. Disagreement is very different from disobedience. One can bring around someone in due course of time via polite disagreements. But, outright disobedience symbolises lack of trust in and respect for the other person. In most cases, obedience is sought to a higher power or authority such a God, parents, grandparents or elders, teachers, the Law, Government etc. Obviously, the higher power is the dominant and the lesser power, the submissive. There is nothing wrong in being obedient or submissive to a trusted authority. In fact, Obedience is the beginning of wisdom. I’m participating in the Write Tribe Problogger October 2017 Blogging Challenge through October and will be following the prompts suggested. True that.. Every one wants to be a rebel.. So what if they are rebels without a cause..
Hahahaha…Love the way you put it! Everyone wants to rebel without a cause and without a hear as well. Keep reading! Love and Cheers! 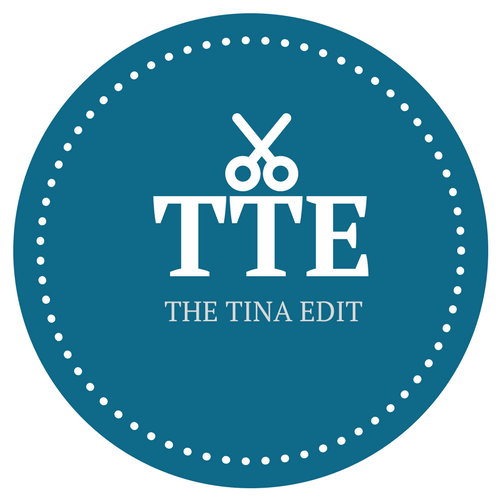 Interesting facets brought out in this post of your Tina. By the way, have you opted out of the challenge? No new posts? Hi Natasha! Not been keeping too well on the health front. Down with repeated attacks of Asthma. Going to meet the doc again now. Hope it gets better this time. Take care Tina. Healing light and hugs. You will be fine soonest. Hey Natasha! Thank you so much, my dear! Im glad you felt this way. I guess it was just the current mood…just finished reading a wonderful novel by Mallar Chatterjee on King Yudhisthira. And when it prompt came up, I instinctively picked up references from The Bible. So many references in there on this particular subject….So, I thought why not! 🙂 Keep reading! Cheers! Obedience is wisdom and disobedience is folly, does not always hold true. I remember the poem , “The Charge of the Light Brigade”, where the soldiers obeyed orders only to fall at the hands of the enemy. Sometimes even people in authority can be wrong and then blind obedience causes more harm than good. Hi Sunita! Thanks for reading and sharing your views. I took a completely Christian theological approach to this prompt. Of course, I get your point and that´s why I did write about disagreements. How one can get around people by agreeing to disagree. Would I like my daughter to disagree with me? Yes! Would I want her to disobey me? No! I hope you got the subtle difference. I think when you trust someone, one feels free to disagree. When there is no trust, respect and intimacy, one tends to disobey outrightly or do things on the sly perhaps. Disobedience has its place of course..in political movements against a tyrant…for example and in the example that you so well listed in here. This was purely from a Biblical standpoint that I chose to adopt for this prompt. Keep reading! Cheers! Thank you, Natasha! Getting better! Thank you so much! 🙂 Hugs!